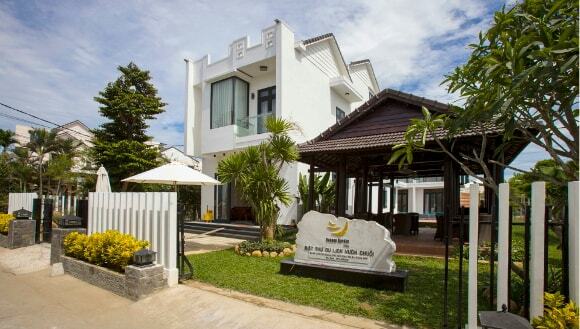 Banana Garden Hoi An Villa is a green garden villa with 1.280 m² in width where is near to Hoi An old quarter. 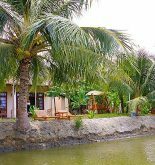 This is one of the ideal places for tourists who would like to relax and experience the professional services at the beautiful and peaceful Hoi An city thanks to its scale of ten rooms, a swinging pool and outdoor restaurant. It also provides some other services such as accommodation, food, tours and the like so that tourist feel as comfortable and convenient as possible. Moreover, it has five kind of different rooms to support several selections for tourists. Address: 64/5 Tran Quang Khai St, Cam Chau Ward, Hoi An, Quang Nam, Vietnam. This information has been supplied by Banana Garden Hoi An Villa.